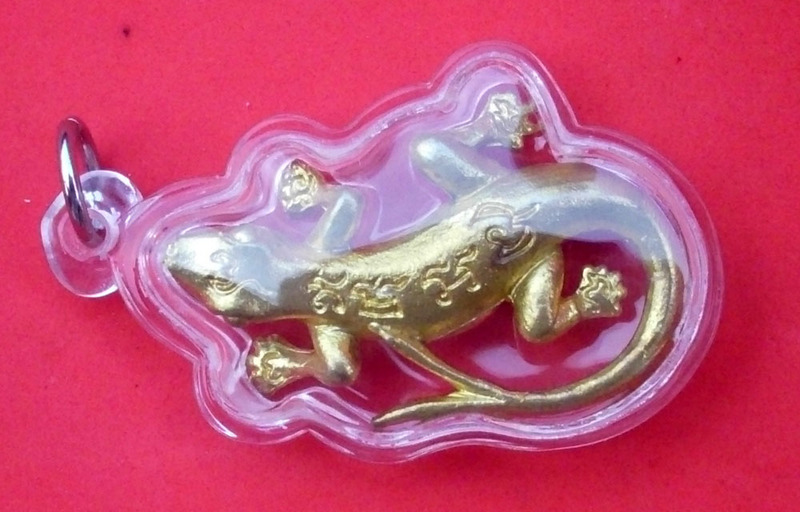 The Geckos were made from Sacred Chanuan Muan Sarn (sacred metals and substances). 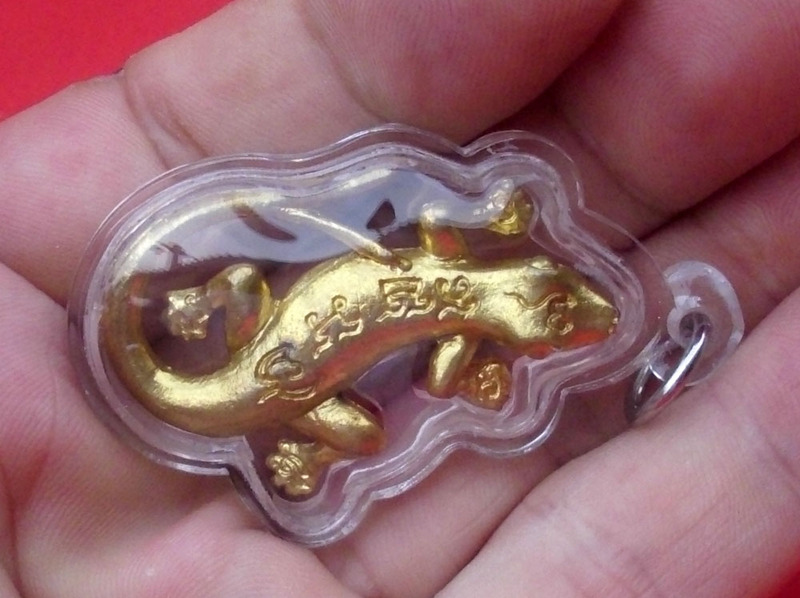 Sacred metal Yant foils were made to smelt into the Geckos; Yant Choke Laap Kaa Khaay, Yant Sariga Lin Tong and other Yant for Metta Mahaniyom and Maha Sanaeh. 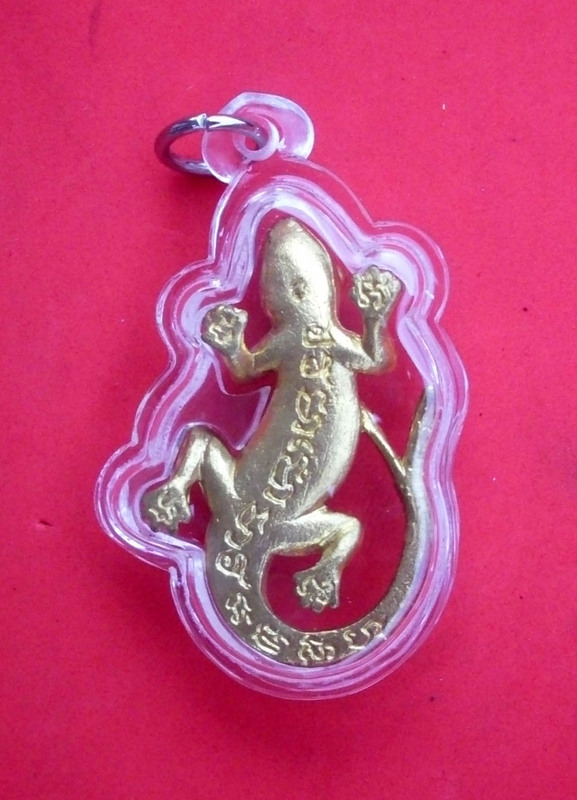 The Jing Jok is a powerful attraction agent for love andd social climbing, and also one of the best amulets for merchants and shopkeepers. Popular with Ladies, Salesmen and even stock market speculators. Increases powers of attraction for love and business, aids in getting promotion and improves your oratory skills in influencing others. Watch Video of Ajarn Bpums Wai Kroo ceremony 2011. Suea Yant Pralaks Hnaa Tong Ha Prapaktr (blessed Sak Yant T-shirt) – Korb Siarn Kroo 2550 BE edition – (Size M) Made by Luang Phu Ka Long – Wat Khao Laem. Korb Siarn Kroo Pra Laks edition Yant shirt (t-shirt) with the Pra Laks Ha Prapaktr Deity (five faced = Ha Prapaktr). Korb Siarn is the ceremony of the laying on of the Kroo Deity mask over the head of the devotee in order to transmit the lineage of protection of the Kroo (Guru) Masters, and to endow the person with certain powers and blessings. The Yant shirts were Empowered by Luang Phu Ka Long and issued at Korb Siarn Kroo celebration of the Pra Laks Deity. 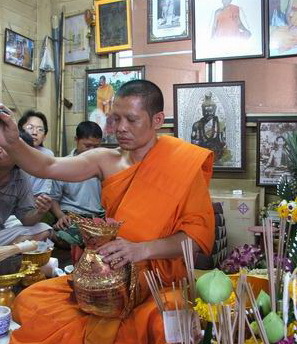 Luang Phu mastered the Wicha of Pralaks magic many lifetimes ago as he once practiced together with the Deity we now know as Por Phu Ruesi Jao Saming Prai, or commonly known as ‘Ruesi Hnaa Suea’ (tiger face Ruesi). Pralaks is the most powerful Deity for popularity and the traditional Kroo Deity of all performing artists. Pralaks is also useful for merchants and salespersons, as well as for social climbers and professional promotion seekers. 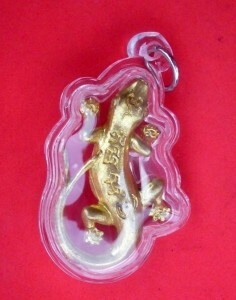 Size M (Thai) which allows a smaller male or a woman or teenager to wear, or slimmer person at best below 176 Cm in height. Riches are an automatic side effect of popularity, and for this reason thew Pralaks Deity is not only considered ‘Maha sanaeh’ (attraction and charm), but is also ‘Choke Lap’ (lucky fortune bringer), throguh the popularity and likeability aspects.